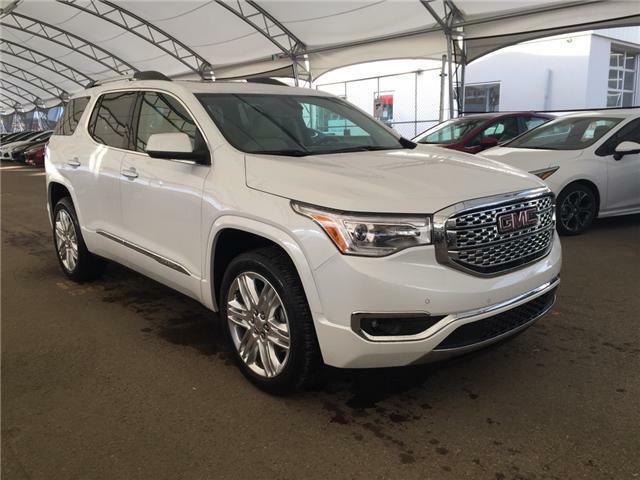 The all-new 2017 GMC Acadia SUV personifies GM's Professional Grade attitude and dedication to precision. Acadia’s flexible, versatile space and functionality is seamlessly melded with style, safety, and technology. 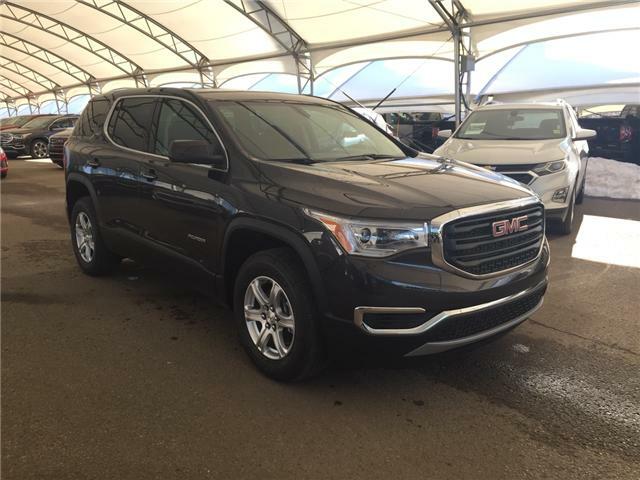 At Davis Chevrolet in Airdrie, we offer the finest selection of new GMC in all of Brooks and surrounding area. We can assure you that you will not only receive a luxurious product, but have a fantastic purchasing experience. 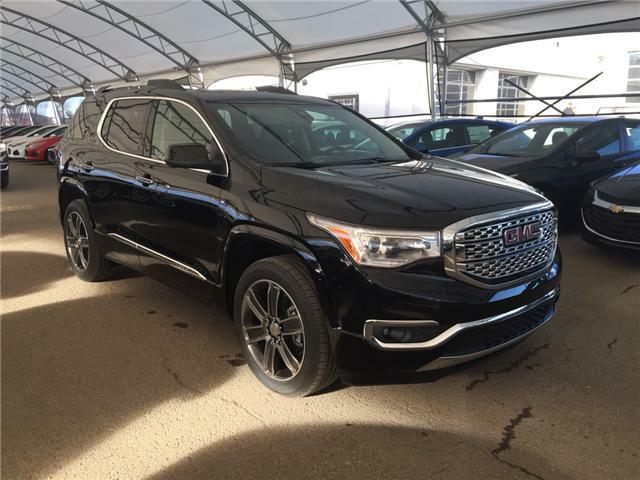 Talk with one of our representatives today and learn why GMC shoppers from Calgary come to Airdrie for the Davis shopping experience. 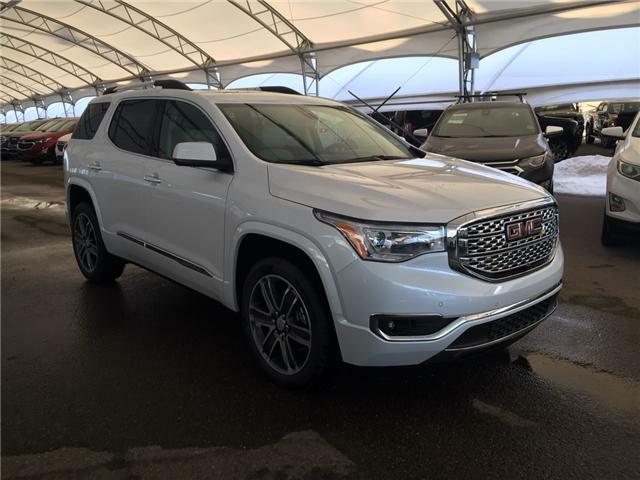 The all-new 2017 GMC Acadia is a reimagined crossover designed to offer great versatility and refinement while targeting the heart of the midsized segment. The 2017 Acadia represents a vehicle designed with customer input at its core. 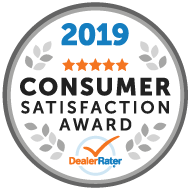 Current and prospective customers asked for a vehicle that is more maneuverable and fuel-efficient, while maintaining its stylish design. The strategic redesign of the 2017 Acadia embodies a reduction in both weight and size. It's 700 lbs lighter and 7.2 inch shorter than the current model. This new design allows for an enhanced driving dynamic that is more responsive while offering greater maneuverability and garagability. In addition to improved responsiveness and maneuverability, the re-scoping of the 2017 Acadia pays dividends at the gas pump – where a new standard 2.5L I-4 engine offers an estimated fuel consumption of 8.4 L/100 km hwy (FWD). 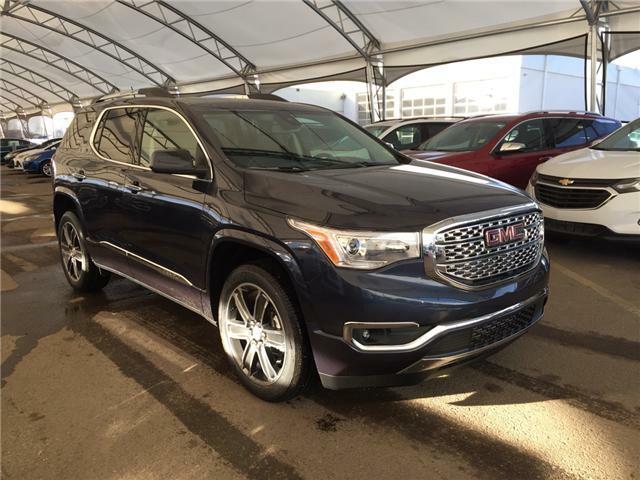 The 2017 Acadia builds on a legacy of intuitive functionality, with new features such as a split-folding second-row seat that improves on the original Smart Slide feature of the current model. It offers greater flexibility, including the capability of the curbside seat sliding and tilting forward, even with a forward-facing child seat in place, while the driver-side section tips and slides forward for easier access to the third row. The 50/50-split third-row seat folds flat for a completely flat load floor behind the second row and when the second row is also folded, there are 2,237 liters (79 cubic feet) of cargo room. Levers at the rear of the vehicle make it easier to fold the second- and third-row seats. The new Acadia offers a greater emphasis on refinement, while remaining instantly recognizable with an evolution of the vehicle’s signature, professional grade design cues such as a chrome-trimmed grille, squared off and flared wheel arches and a wraparound rear side windows with dark D-pillars. New dimensional grilles and wraparound headlamps – HID lamps on Denali and halogen projectors on other models – reinforce the confident, refined appearance, while standard LED signature lighting on all models reflect GMC’s premium attributes. Complementing C-shape rear lighting graphics add a cohesive detail to the design. 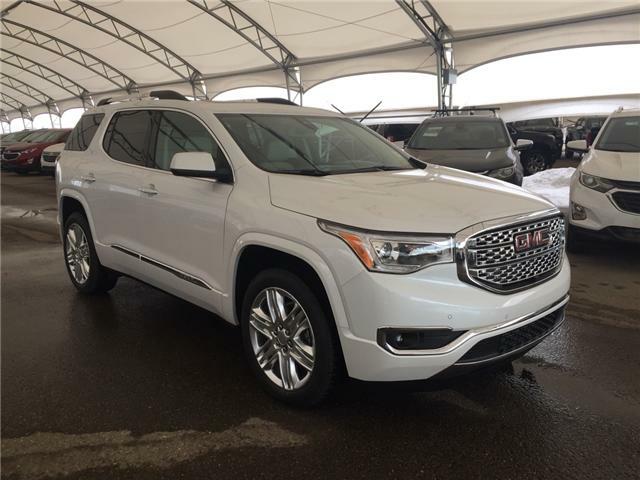 Premium cues distinguish the Acadia Denali. 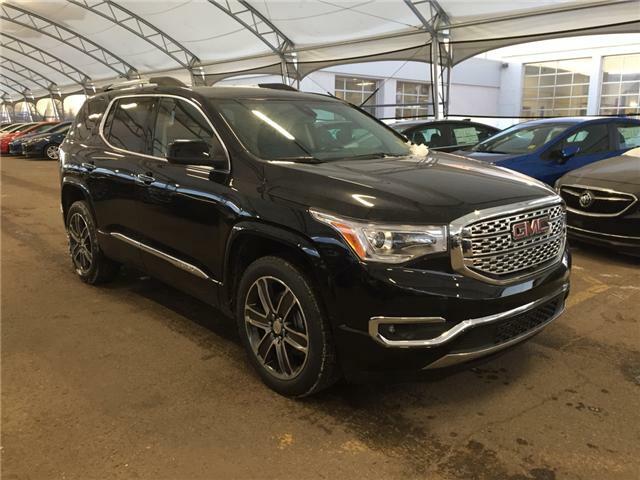 Like all Denali models, it features a dimensional chrome grille, along with integrated chrome side trim, chrome-accented door handles, a chrome lower-rear fascia and specific six-spoke wheels. Inside, all Acadia trim levels feature unique interior colour and trim combinations and incorporate authentic aluminum trim. 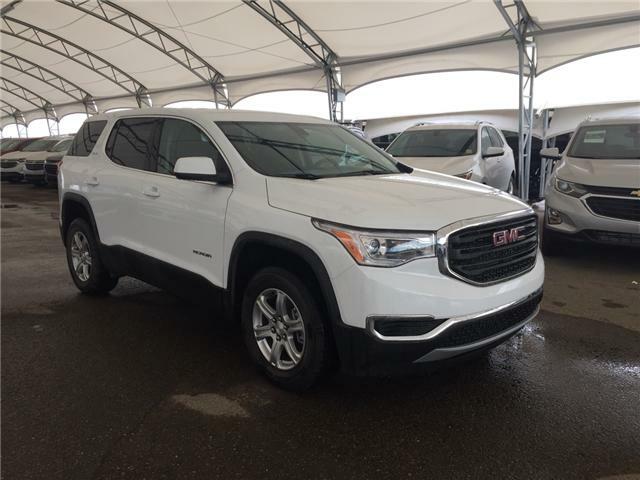 As a contemporary crossover designed for families on the go, the 2017 Acadia offers the latest active safety features to protect them, as well as the latest technologies to keep them connected. 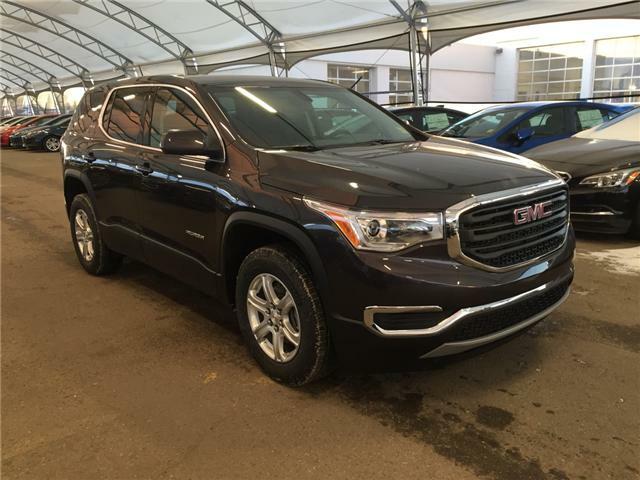 The All-New 2017 GMC Acadia’s driving dynamics are more responsive. The active safety features are designed to help make drivers more aware of their surroundings and potential crash situations. Additionally, an available OnStar 4G LTE Wi-Fi hotspot provides a mobile hub for drivers and passengers to stay connected. The hotspot is on whenever the vehicle is on and comes with a three-month/three-gigabyte data trial.